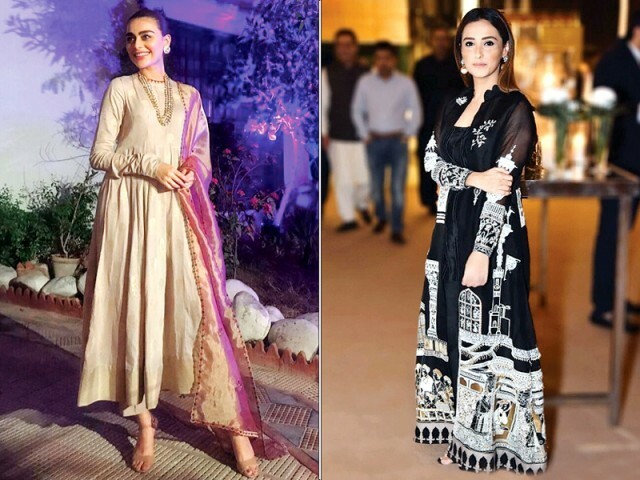 Sadaf oozes elegance in a banarsi Zara Shahjahan ensemble! Styled by Omayr Waqar, she opts for a sleek bun and a no-make-up look. Tres chic! Shazah exudes effortless glam in shades of green. 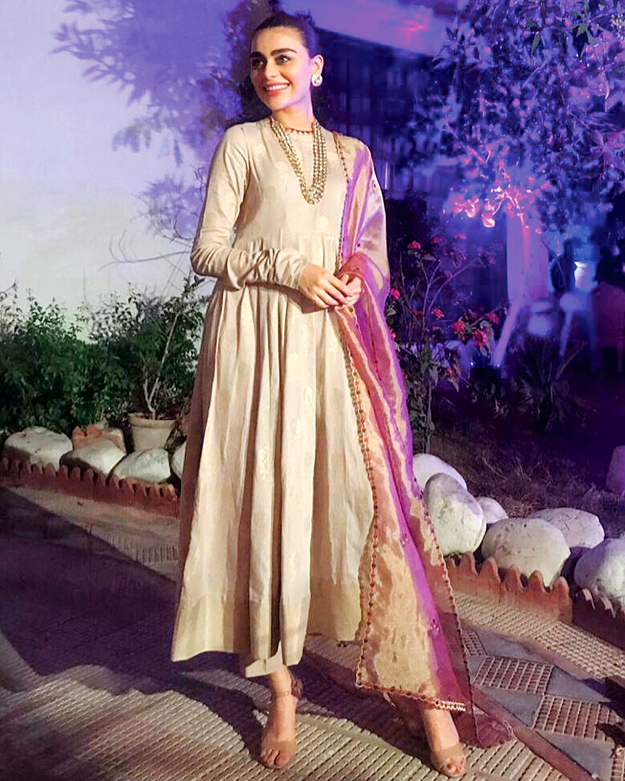 She pairs her Élan ensemble with a high pony tail and keeps her jewellery and make-up minimal for a winter wedding. 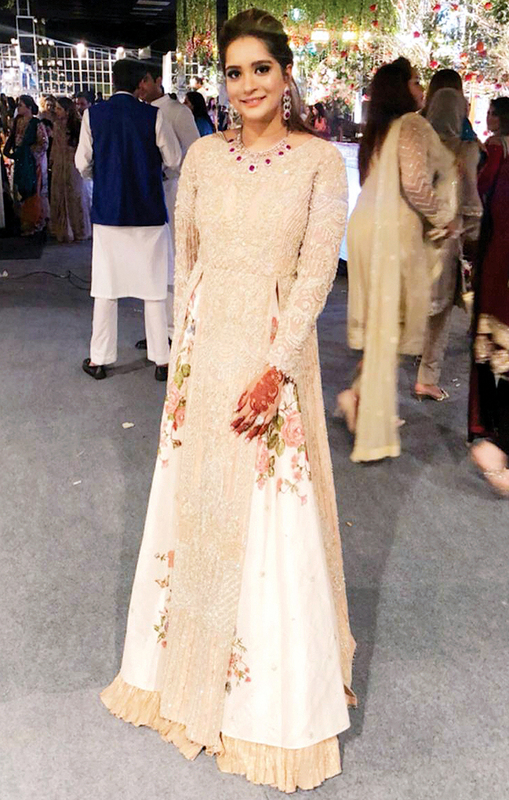 Alizeh is dressed to impress in a Nida Azwer mirror worked lengha and a sheer top. Her dewy make-up compliments her outfit perfectly making her the star of the night! 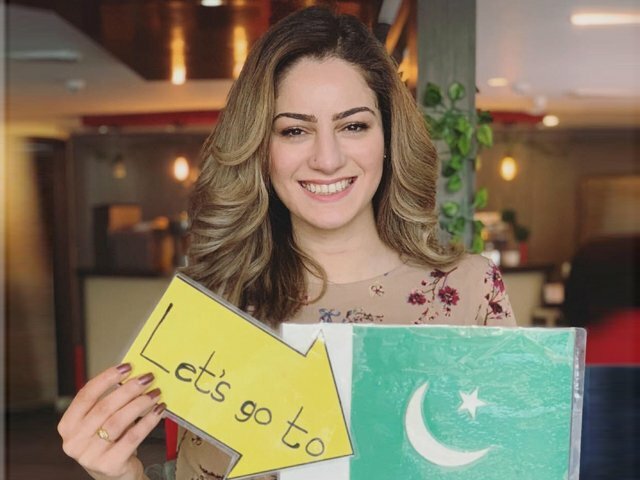 Aminah is a vision in a pastel Shehla Chatoor outfit. She makes a statement with ruby and diamond jewels and finishes her look with smoky eyes; the perfect winter wedding look. 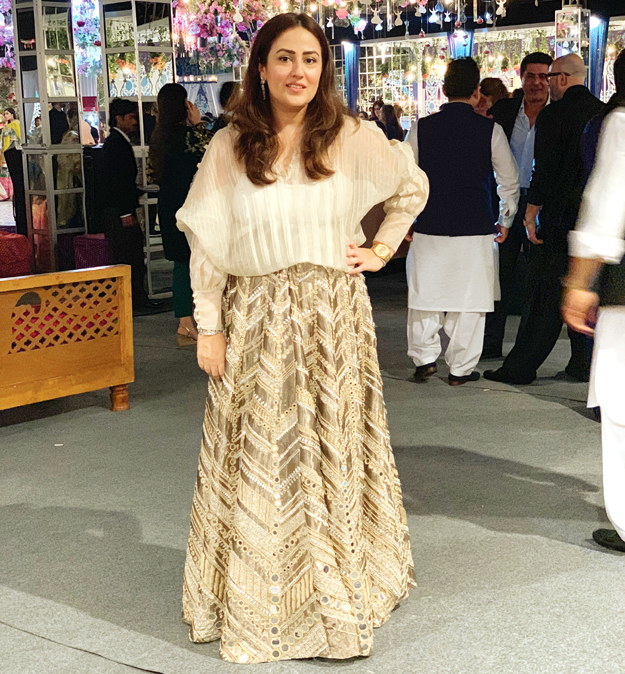 Momal stuns in a Nida Azwer overcoat. She opts for dark eyes and keeps the rest of her look subtle and proves she’s always a style star!